Enjoy 52 different full color images of one of the most recognized symbols in all of rock and roll! 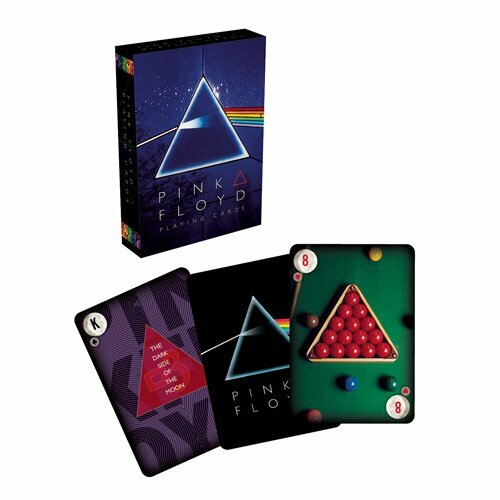 Measuring approximately 2 1/2-inches x 3 1/2-inches with a linen type finish, these Pink Floyd Dark Side of the Moon Playing Cards will be perfect for your next poker night! Ages 6 and older. The Pink Floyd Dark Side of the Moon Playing Cards can be delivered to the UK, Ireland and Overseas. All the products we sell are authentic and we want you to be fully satisfied with every purchase you make. If the item you receive is not suitable for whatever reason, you can return it within 30 days and you will promptly receive a refund or it can be exchanged for a different item of your choice.